In the minds of many South Africans, the concept of ‘Distance Learning’ is immediately synonymous with UNISA. UNISA is undoubtedly the most well known distance learning education institute in South Africa. This is because UNISA was the first public college to educate exclusively by means of distance learning. UNISA was the only institute who gave students the opportunity to further their education irrespectively of their race, creed or circumstances. To read more about this, please click HERE to go to the very informative website called ‘Distance Learning’. Thinking back to our country’s turbulent political past, it is clear that UNISA chose to make education accessible to everybody. Distance learning, by its very nature, is all about accessibility. 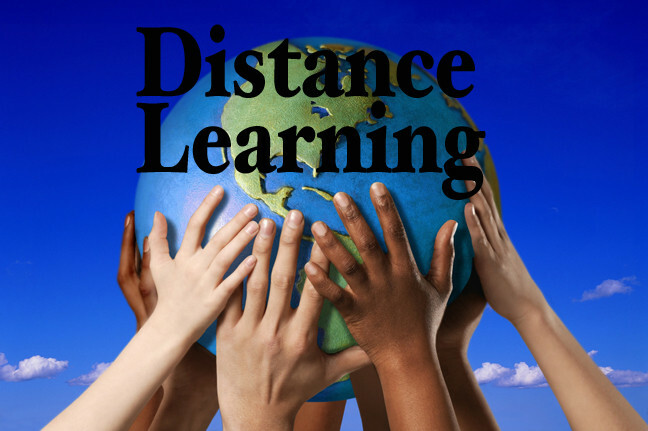 Distance learning is also known by a few other names, for example, home study, correspondence study, and study-by-post. With all the advances in technology, distance learning is now also associated with online learning or e-learning. What is it about distance learning that makes it such a popular choice for students across the world? Distance learning is all about bringing education to you – wherever you are. With distance learning you don’t have to attend a physical campus to get your education. So, it doesn’t matter if you live in a big urban city, or if you live in a remote town that nobody has ever heard over. No matter where you are, you can study. Distance learning is also the ideal choice for people with other commitments – for example, if you have a full time job or if you have obligations that don’t allow you to attend classes at fixed hours, then distance learning is the way to go for you. With most distance learning colleges, students can study whenever it best suits them. Distance learning allows a student to work according to their own schedule. Thus, people who are already in the workforce can also improve their education without having to quit their jobs. In other words, with distance learning, you can still earn while you study. Due to the fact that distance learning does not take place at a physical campus, students can save a great deal of money in terms of transportation costs. Ask any campus-based student how much they spend every month to get to and from campus and you will soon realise that transport costs form a considerable component of the cost of education. Many students have to take long distance train or bus rides every week or month in order to get from their homes to their campus. Without a doubt, distance learning brings learning to people. Distance learning, it’s all about accessibility. Join Together We Pass today to take your UNISA studies to the next level. 0 Responses on UNISA and the accessibility of Distance Learning"